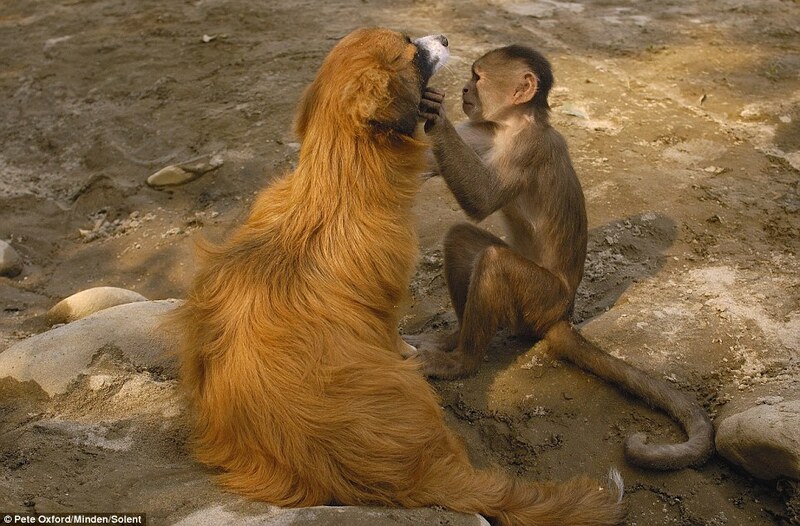 It may have been that he misheard the old saying, but this dog decided anyway to put the monkey where his mouth is. There's no waiting room, chair to lie down on or high-pitched drill to be seen, but here in the lush woodlands of an Ecuadorian village, a capuchin monkey seems to fancy himself as a dentist as he peers down deep into the jaws of a friendly dog. 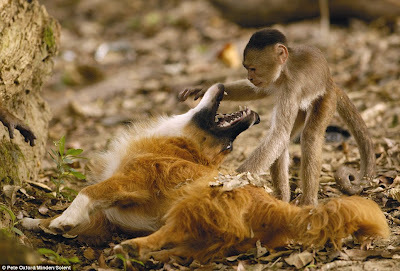 One can only speculate that the mutt perhaps had a problem with his canines and the primate practitioner was more than happy to oblige. Photographer Pete Oxford captured the unusual scene at the coastal resort of Puerto Misahualli, which is famed for its large population of the diminutive capuchins. 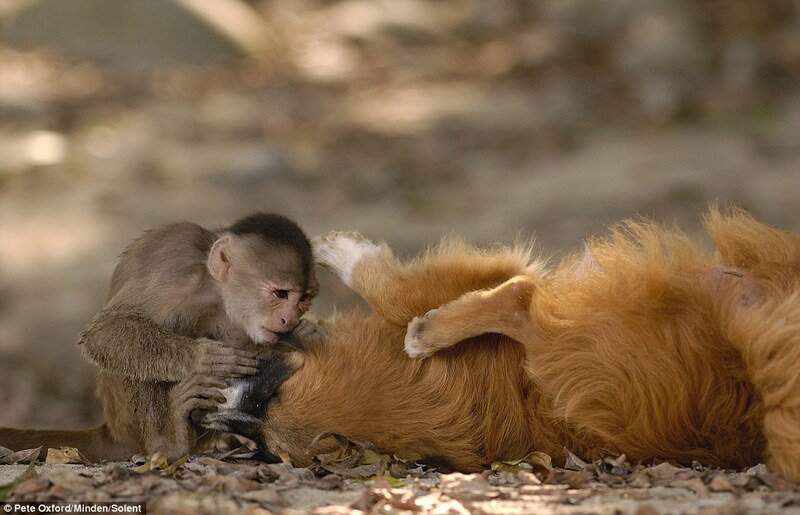 Coming across the pair, the 53-year-old said he was stunned to see just how close the dog and monkey appeared to be. He said: 'The local dogs, this one in particular, obviously knew the monkeys very well. These two seemed to be best of friends, allowing lots of liberties between them. 'In these pictures the monkey seemed to be grooming the dog, both were very comfortable with each other and really seemed to enjoy the interaction. 'They were never aggressive towards each other and would even play fight. 'I was enthralled by the interaction having never seen anything like it before. Mr Oxford, who lives in Ecuador with his wife Renee, added: 'I had visited this town because I had heard about these wild monkeys. 'I went down the beach and found the monkeys enjoying it as much as the people. It was pretty incredible to see. 'Some of them had 'borrowed' a football and were playing with it.